Meet Kona! He is an 8 year old German Shephard who came to see us late November because he was not eating and having trouble walking. Dr. Lambert did an ultrasound, and saw his prostate was severely enlarged. Even after starting medication, Kona was not responding well and Dr. Lambert observed necrotic (dead skin) on his scrotum and necrotic lesions on his paws. 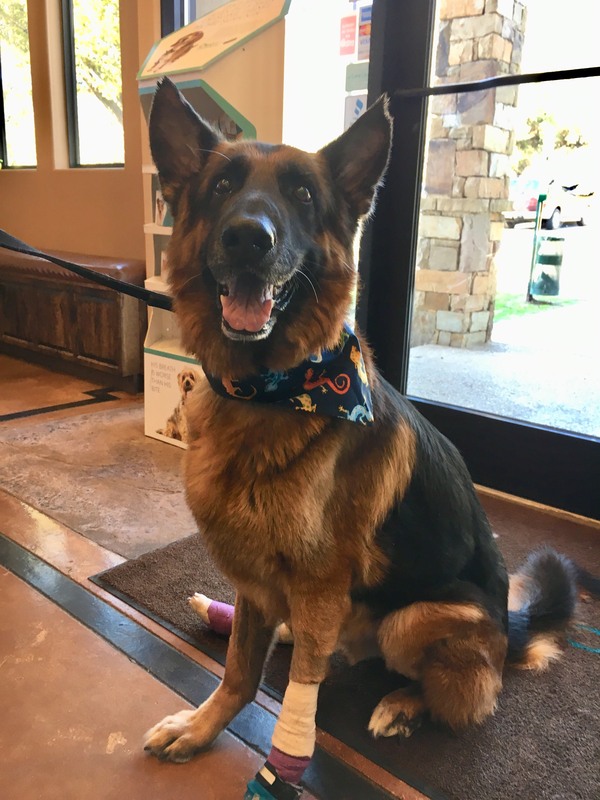 Kona was neutered and diagnosed with Symmetric Lupoid Onychodystrophy; Which is an immune-mediated disease that typically affects dog’s nails. While there is no cure, there is treatment and life-long management. Unfortunately, one of his toes had to be amputated and he is recovering well. We have been seeing him several times a week to soak and re-bandage his paws while he relaxes in our arms. Medication will help him with symptoms and his skin is looking much better already! Meet Slinger! Slinger was having a lot of Gastro-intestinal issues. 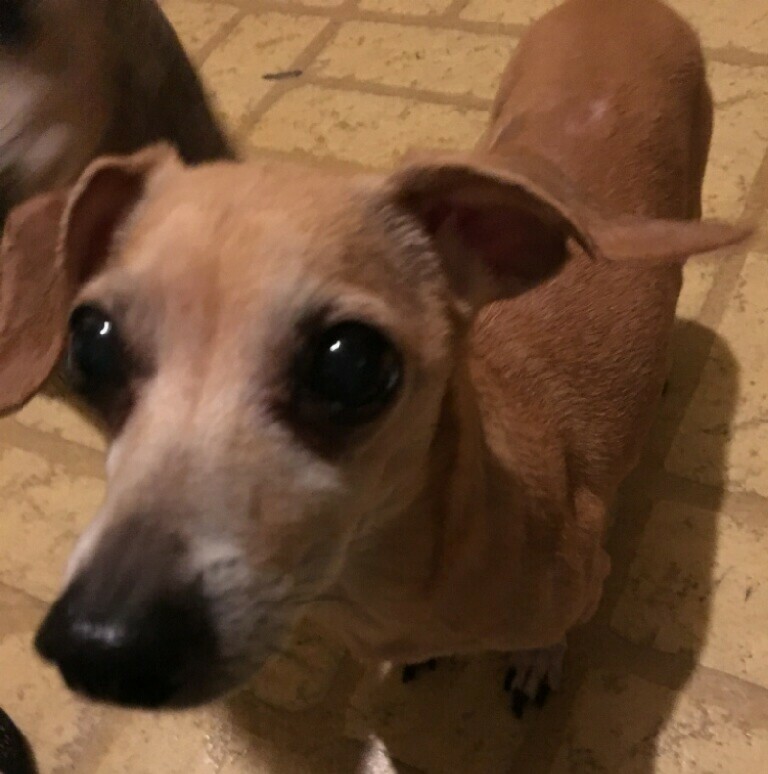 After an exam, diagnostics and a visit to the Specialists, Slinger was diagnosed with Inflammatory Bowel Disease, which was a huge relief to his family who were trying very hard to figure out what was ailing him. At 13 and a half years, Slinger now has a strict diet and continued medication to make sure he is always in good health and not having any tummy issues. Now he doesn’t have a care in the world and is scampering around like a young pup! Next PostFebruary Pets of the Month!